Whether it's a pop quiz or final exam, most individuals who have to take any type of test tend to have some anxiety before them. This anxiety can be avoided or at least decreased in a number of ways. It will require proper preparation, the assistance of others and by keeping the body and mind relaxed. Read on to learn the most effective ways to prepare for the next exam well. 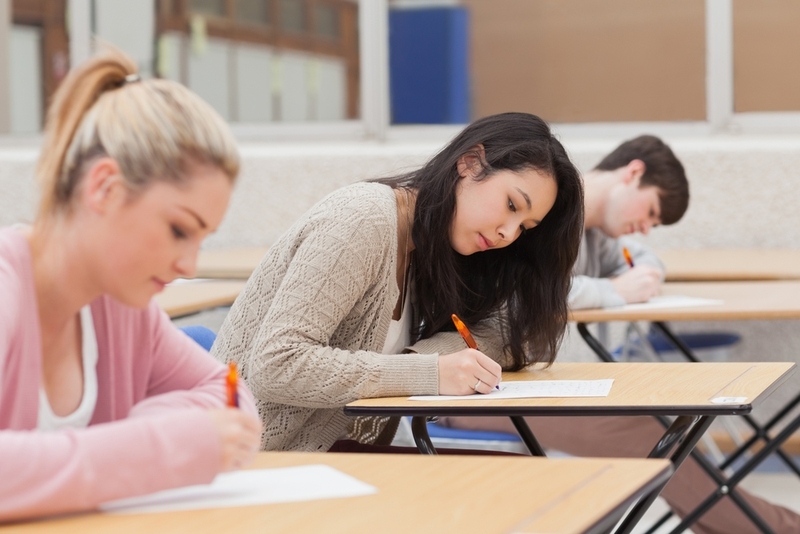 If you study, paid attention in class, completed all assignments, and participated in class discussions, then you will feel significantly more confident when you sit down to take an exam. While there are plenty of ways you can boost your confidence, simply preparing properly for the exam is the best way to reassure yourself that you have nothing to feel anxious about. To help you prepare for an exam, you'll want to have the right study tools that work for you. Whether it is using notes cards, charts, outlines, or doing practice exams, study tools can help you remember a great deal of information. Know your learning style so get to know what study tools will better benefit you. For example, if you are a more visual learner, then you will want to create more visual tools like diagrams or mind maps which will allow you to retain more of the information. How to be confident before exam? Try this! You don't want to wake up in the morning and rush to get everything necessary for your exam. When you rush, you are more likely to forget something important like your notes, pens, or calculator. Instead of rushing in the morning, have everything you need for the next day ready beforehand. Or you will only cause yourself more anxiety before the exam and even for the whole day if you realize you forgot something you needed for the exam. When you believe that you are going to do well, there's is a greater chance that you will. Even if you have put in the hours of studying, if you anticipate that you aren't going to pass, all that studying might be for nothing. Remind yourself through affirmations and positive thoughts that you are well prepared for the exam and that even if you don't do well, it isn't the end of the world. It might not seem like a legitimate way to boost your confidence, but visualizing the outcome you want can actually work. Before your exam and while you are studying for it, take some time to pause and just see yourself passing the test. You want to picture as many of the details as possible from the time you walk into the classroom to the pen or pencils you will use to how it will feel when you read the questions on the exam. See yourself answering the questions with ease and when the time comes to take the exam, you will already feel more comfortable about it. Staying calm while preparing for the exam as well as when you are actually taking the exam will help you stay focused when you actually take it. Feeling anxious or nervous about an exam will only cause you to forget the information you know, lose confidence and cause distractions. How to be confident before exam using relaxation techniques? Practice deep breathing technique and meditation to keep your thoughts focused and your mind and body relaxed. Studying non-stop before an exam can cause you to have more anxiety than not studying at all. When you are preparing for a big exam, it is just as important to take a break and have some fun. On the day before the exam, review you study guides but don't consume yourself with studying. Instead, do something fun that can distract you for a few hours and simply enjoy hanging out with friends or family. You might be tempted to stay up all night to put in a few more hours of studying, but this won't do you much good. When you are tired, you are more likely to forget information and when it comes time to take the exam, you won't be able to focus properly. Getting enough sleep the night before the exam will allow you to feel refreshed and more confident since you will be able to concentrate fully on the exam questions. Along with getting enough sleep, you want to make sure you eat right and drink plenty of water before an exam. Fueling your body with the proper food and drink will help reduce your anxiety just before an exam. Even if it is just a few crackers or toast, you want to have something in your stomach before you sit down to take the test. When it comes to how to be confident before exam, remember to skip the coffee and energy drinks as well as foods that contain a lot of sugar. These foods can make you feel jumpier and increase your anxiety. Remind yourself that it is just an exam. No matter how well or poorly you perform on the exam, it has very little to say about who you are as a person. Even if you do not do as well as you expect, it isn't the end of the world. While you do want to properly prepare for it, don't take the exam so seriously.